NOCCO BCAA contains BCAA (branched chain amino acids), L-carnitine, green tea with EGCG, caffeine and six different vitamins. 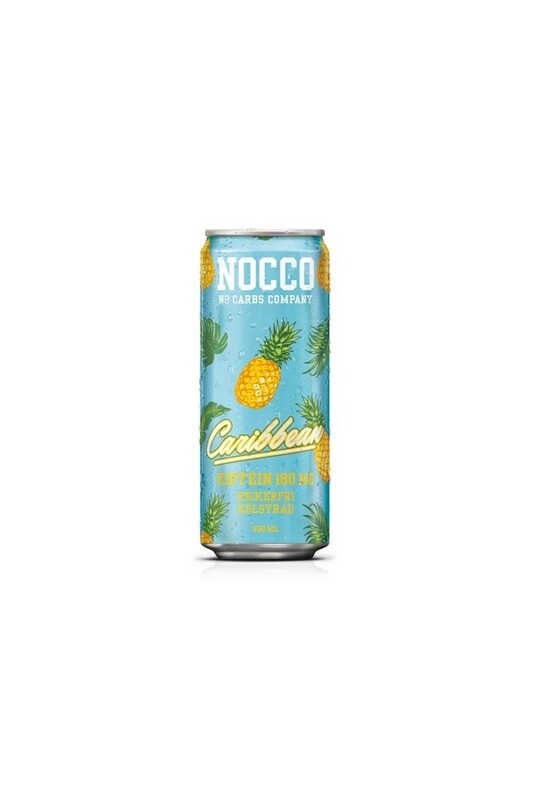 NOCCO BCAA is avaliable in four delicious flavours with carbonic acid; Pear, Red Berries, Peach and Lemon/Lime. All products from NOCCO BCAA are sugar-free. The nutrition facts and weight listed above are a guideline only and are supplied as a courtesy to our customers. The nutrition facts are based on one particular flavour and were current and accurate to the best of our knowledge at the time they were entered. Some flavours may be different in terms of nutritional information, servings per container and weight. Please note that manufacturers often change formulas or ingredients without notifying us.